Invercargill is the southernmost city in New Zealand, located in the Southland region. It is a friendly, warm city, with hospitality that makes it a great place to both live and visit, but it is also the commercial hub of Southland. Invercargill is favourably placed on the Southern Scenic Route and is the gateway to some of New Zealand’s most beautiful scenery and destinations including the Southland heartland, Stewart Island, Fiordland and the Catlins. With a combination of cultural attractions, a rejuvenated city life and outstanding nature reserves and parks, museums, art galleries and parks, short trips to one of the bush reserves, beaches or gardens on Invercargill’s outskirts – it simply is stunning! 2 Drive Safe instructors in Invercargill offer motorcycle training, such as Ride Forever Courses (including the Bronze,Silver, Gold, Urban and Scooter Survival courses). Improve your skill level and confidence, and take your riding to the next level with courses suited for all stages of learning. Neil is very passionate about riding! After leaving school, he worked on a farm for 6 years and enjoyed riding around the farmland, and later commuted to work on a bike. After gaining his I endorsement for Cars, he re-fuelled his riding passion. He participated in a number of training days, and went on to become a recognised instructor for the Basic Handling Skills Test, as well as the Competency Based Training & Assessment. Neil currently rides a Suzuki V-Strom. He revels in riding the great roads of Southland, and enjoys meeting people in the process! 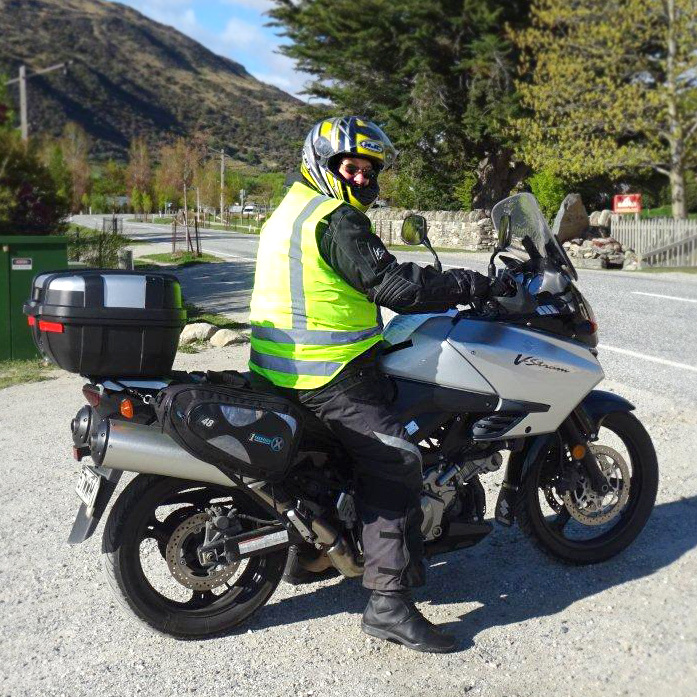 He often rides with the Bikers & Beyond Group and recently joined the Ulysses, Southland Club. He is also an associate member of the IAM.